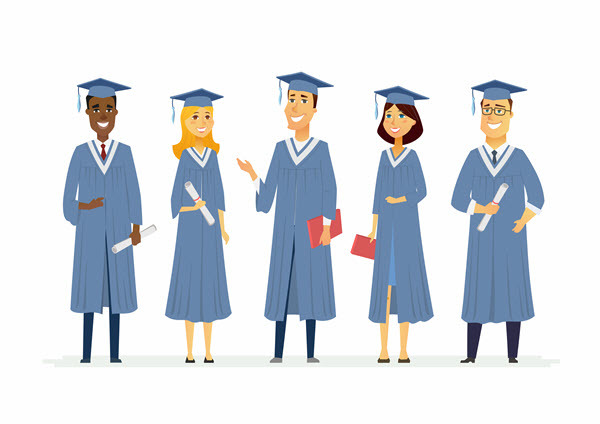 May 2, 2019 at 6 p.m.
All seniors who are receiving awards will be notified by invitation via the US Mail. 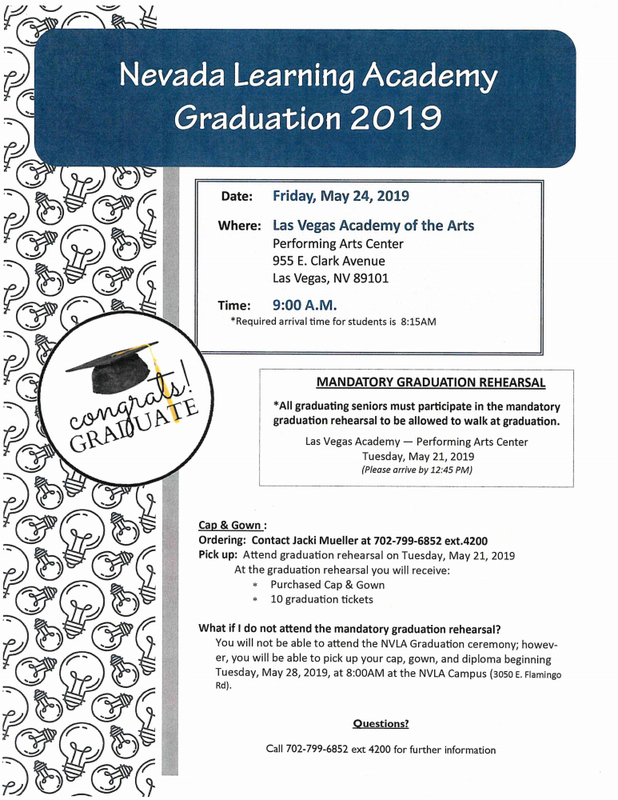 All graduating seniors must participate in the mandatory graduation rehearsal to be allowed to walk at graduation. Please arrive half an hour early. May 24, 2019 at 9:00 a.m.
All guests must have a ticket in order to enter. 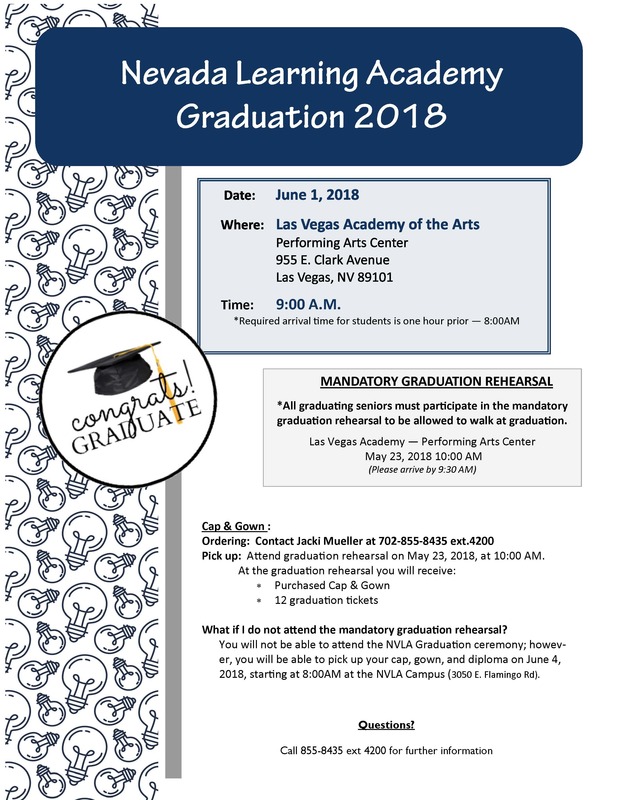 Parents, family, and friends of graduating seniors who are deaf or hard of hearing and require interpreting services for the commencement ceremonies as asked to make requests for interpreting services through the NVLA Graduation Coordinator at (702) 855-8435, ext. 4200. All requests need to be received no later than April 26, 2019 to ensure an interpreter will be present at the ceremony. 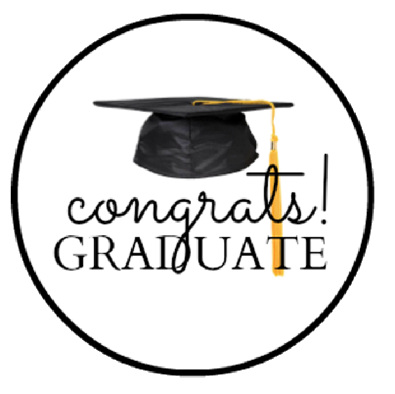 Information about ordering Graduation Photos will be updated as soon as possible. © 2017 Nevada Learning Academy at CCSD. All Rights Reserved.